We are writing to you on the matter of the current inquisition into wind turbines. Let us introduceth ourselves. 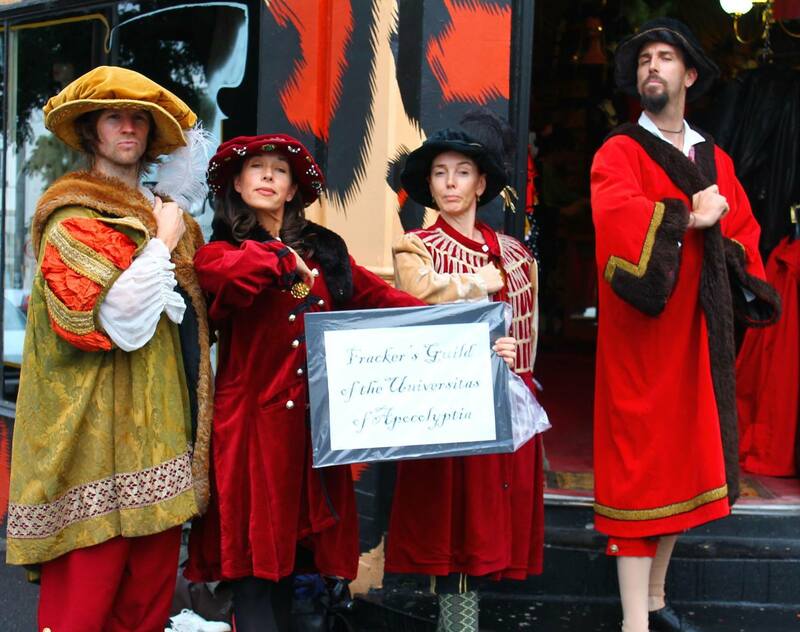 We are medieval astronomers from the esteemed Flat Earth Institute of the Universitarse of Climatastrophas (est 1033AD) – Adjunct Professor Greenhausen, Emeritus Emissionraiseth, Chancellor Carbonaceous and Vice Chancellor Volition Coalition. In this submission we do verily bequeath our great wisdom upon thine Aussie Oi Ois of the Federal Senate echelon. It appears that the esteemed senators are doing their utmost to ensure the safety of the general populace of this great country and civilization from wandering renewable energy heathens. And so we must congratulate the unrepresentatives of the people in the house of review for their efforts. Besideth, everybody who subsribeth to global-worming fully knoweth that it is thine wind turbines that trapeth stardust in the Earth’s atmosphere, that causeth the recordeth of unsustainable increases in peoples’ freckles. And finaleth, mounting evidence showeth that wind farms could bloweth the Earth off its axis and into a Galilean galaxy which is altogether foreign-owned not to mention indebteth and heliocentric. 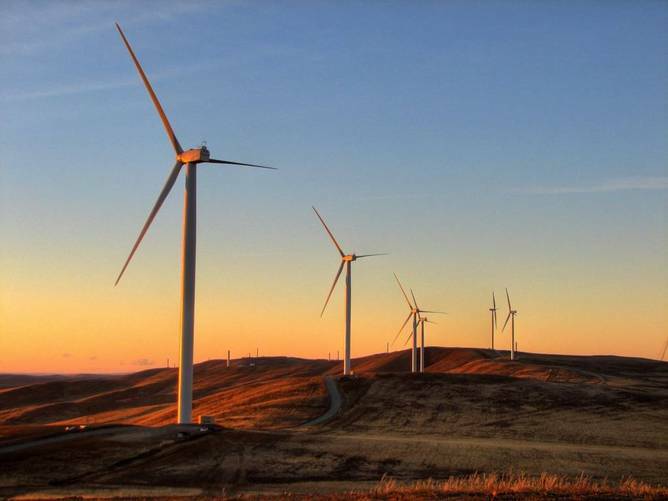 As befitteth our nobleness, we feel called upon to delivereth our fulsome expert expertise (as detailedeth above) on the matter of ‘wind turbines’. We hath done extensive research, which hath included consulting with Victor the Budgie** on what is the future of energy generation in this sunburnt land. Victor’s special talents include the ability to foresee the future, and according to some in the Budgie Research Group, Victor was even able to predict his own death. 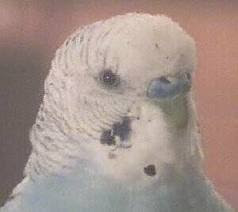 We shall never know the truth of this, for the poor dear budgerigar is no longer with us. Although his untimely death was not caused by a wind turbine, our poor budgie was last seen descending towards Hazelwood’s coal-fired incense burner (aka: the altar for budgie sacrifices) for a spoteth of worshipping prior to his long and lonely flight to Canberra. If it was a coal ash overdose, at least we know his life was extinguished quickly. Our fondness for budgies everywhere means that it is amongst the utmostest importance to us that small colourful birds are protected from these satanic energy generating mills. Oh we forgeteth, where were we! Oh, yes, Victor… Since Victor no longer belongs to the realms of the living, we conducted a seance during the time of the new moon to consult with Victor on the future of energy generation in Australia. We couldn’t quite understandeth all the gibberish Victor speaketh to us that dark night with no moon, but we discerned some audio that sounded verily much like “Toneeey.” And so from one speaker of budgerigar to another we consulted with the tomes of our Prophet for Profits, Prime Minister Tony Abbott. Unfortunately our esteemed Prime Minister hath left no traces of his thoughts on the perils of wind turbine technology in his book Battlelines. However through the magic of the modern media and information communications technology (for these are not evil, and we hath verily much fun on Twitter warning of the perilous dangers presented by heathen renewable technologies, thus countering the tidal wave of propoganda produced by the latte sipping left-wing Twitterati), it hath been recorded on many integrated circuits that Tony spoketh and that he hath said that coal is both “good for humanity” and that it is the future. Clearly we agree with the assessment made by the esteemed Prime Minister of this good country and therefore we impeach the unrepresentative senators sitting on the committee for this inquisition on wind turbines to unequivocally and finally put to an end the terrible encroachment of these satanic energy generating windmills forever. The Institute would like to taketh this opportunity to thank and beseecheth the august Committee and henceforth adopt the Institute’s reasoning on this matter. Adjunct Professor Greenhausen, Emeritus Emissionraiseth, Chancellor Carbonaceous, and Vice Chancellor Volition Coalition of The Flat Earth Institute, Universitarse of Climatastrophas. The official policies of The Infundibuliform Earth Society reject the assertions of the Flat Earth Society. However, we too object to the proliferation of wind turbines as it is obvious that they pose a great risk of initiating destructive vortices within our infundibuliform environment whereby civilisation as we know it could be sucked up into our own collective fundament.